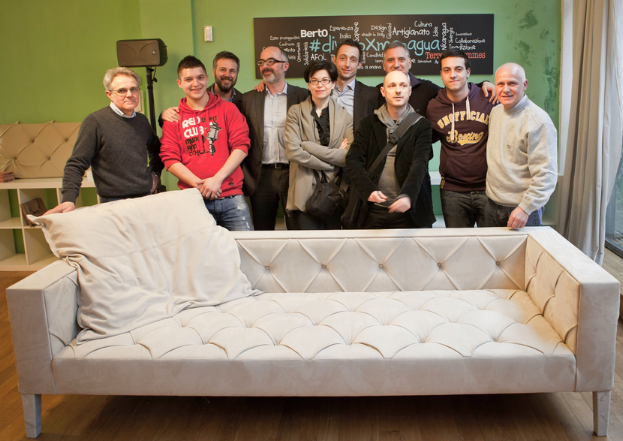 The construction of the sofa was the center of the co-creation project #divanoXmanagua, yesterday it came to fruition. On April 11th, in an atmosphere of extensive media coverage and audience participation the last workshop of the #divanoXmanagua was held, in the middle of the Milan Design Week, in the heart of the Fuori Salone, Lambrate. We’ll update you soon on the future stages of the project … it was an intense period full of activity and events. Our task now involves getting the best possible price for this one of a kind piece, all proceeds from the sale will be contributed to the activities of the School Joiners of Managua, through the valuable efforts of our partner, Terre des Hommes Italy.